The 3 Pack Paisley Handkerchiefs by Barbour feature a classic paisley design which is perfect for adding a unique touch to an outfit. The 3 Pack Paisley Handkerchiefs by Barbour feature a classic paisley design which is perfect for adding a unique touch to an outfit. These hankies are presented in clear Barbour packaging and make the perfect gift. 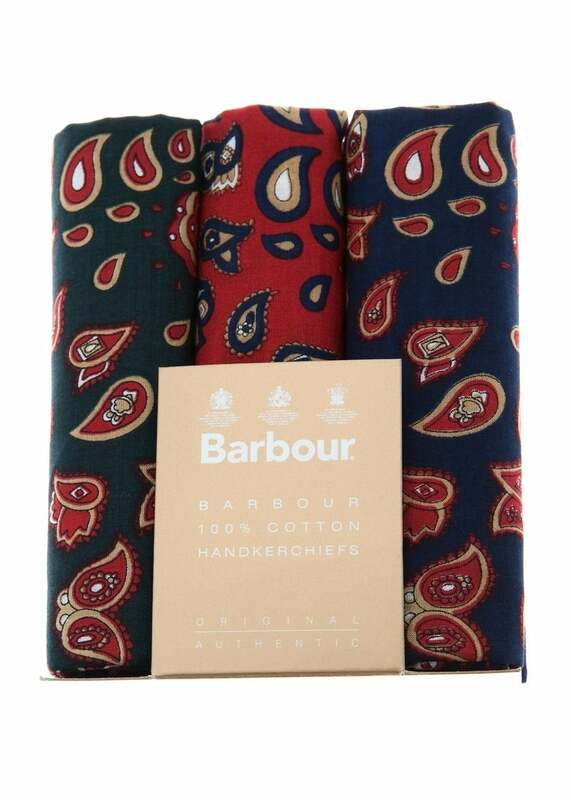 Showing our 6 Barbour 3 Pack Paisley Handkerchiefs reviews with an average rating of Excellent. My brother in law wont use any other make.